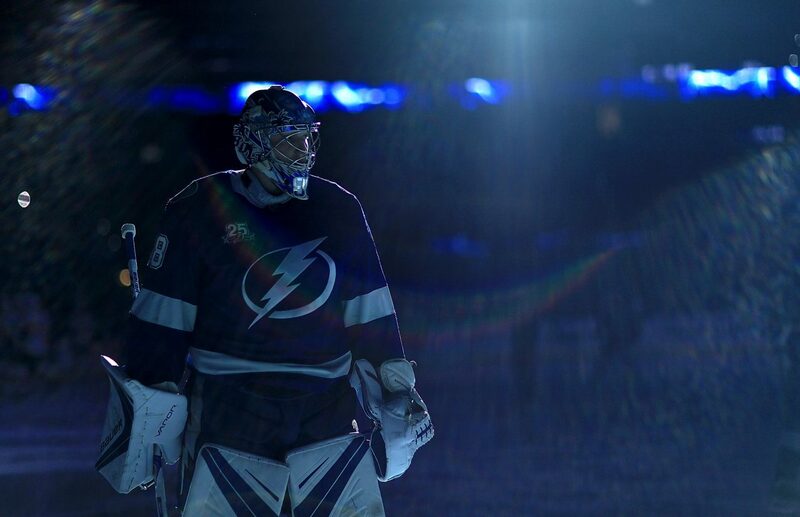 Beyond the Box Score: Vasilevskiy shines in return to Lightning net - The Point Data-driven hockey storytelling that gets right to the point. In his first game back from injury, after missing more than a month, Andrei Vasilevskiy put on a goaltending clinic against the Toronto Maple Leafs. Vasilevskiy stopped 48 of the 49 shots the Leafs threw at him and kept their high-powered powerplay off the scoresheet, despite the Lightning giving Toronto 6 powerplay opportunities. Not all 48 save performances are created equal. Play a team like Carolina and a good chunk of those saves may come off shots from the perimeter that aren’t particularly difficult (see the Hurricanes league worst shooting percentage). The Maple Leafs, they’ve got finishers and created a ton of quality looks against Vasilevskiy, making his performance that much more impressive. Nearly half the saves Vasilevskiy made came from the slot (22 of 48). 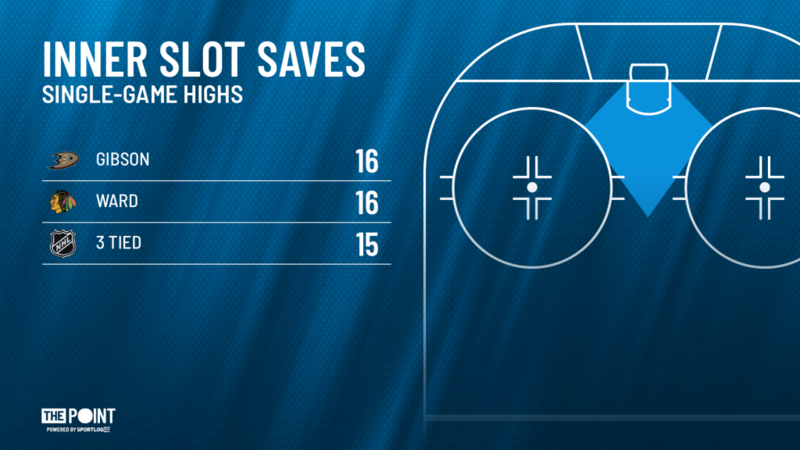 14 of those slot saves came from the most high-danger area on the ice, the inner slot. Only 5 goalies have made more saves from this area this season – an area where nearly half the goals in the league are scored from. Looking at our expected goals model which tell us, based on league average shooting percentages from all shot types and locations, how many goals a team should score – Toronto should have scored 4.9 goals last night. So, Vasilevskiy saved his team 3.9 goals. In that respect, it was one of the best goaltending performances of the season. Lightning head coach Jon Cooper summed up Vasilevskiy’s performance pretty well, saying, “He was the best player on the ice for us by a country mile.” Yes, yes he was. If you didn’t catch the game, check out this save Vasilevskiy made on Patrick Marleau in the 3rd period. The Leafs had almost twice the amount of offensive zone time as the Lightning and Mitch Marner, William Nylander, Auston Matthews and Jake Gardiner all set season-highs for offensive zone puck possession. That’s a lot of weapons buzzing around the Ozone with the puck. Marner set a season-high for all players by completing 9 passes into the high-danger slot area. None of it fazed Vasilevskiy who showed no signs of rust and helped Tampa extend its lead in the Atlantic division. In the 14 games he’s played this season, Vasilevskiy has saved his team an average of 1.3 goals per game, relative to league average goaltending – best in the NHL. (Check out our statistics page to see the top 5 goalies in Actual vs Expected Goals Against). Hats off to Andrei Vasilevskiy, who had one heck of a return.